Ddu is to attend CPhI China 2018 which will be grandly held at the Shanghai New Int'l Expo Centre (SNIEC), Shanghai, China. As the leading global pharmaceutical & medical device B2B online platform, Ddu has been an exhibitor at CPhI in Shanghai for three consecutive years. If you are attending this exhibition, feel free to visit our booth at W5D16. As China's leading event for the pharmaceutical industry, CPhI China strives to provide a platform for local, regional and international buyers, manufacturers and suppliers to meet, do business and drive research and development in the Chinese pharmaceutical and healthcare industries. 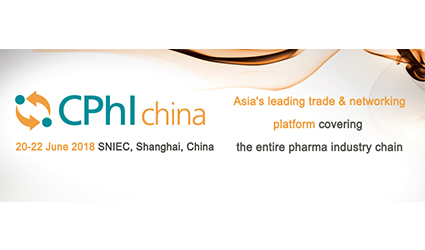 As the largest pharmaceutical exhibition in Asia, Shanghai CPhI exhibits raw materials, intermediates and fine chemicals, excipients and dosage forms, natural extracts, biological products, pharmaceutical preparations and animal health care. After years of efforts, CPhI Shanghai, which has been successfully held for 17 sessions, has become the best choice for local pharmaceutical companies to open up their international markets. In 2018, the number of exhibitors is expected to reach 3,000 and the estimated visitors is 85,000. 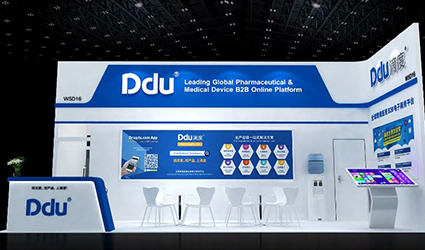 For the past three years, Ddu has attended CPhI in Shanghai and showcased their new “Internet + cross-border medical trade” marketing model, attracting numerous visitors to their booth for consultation. 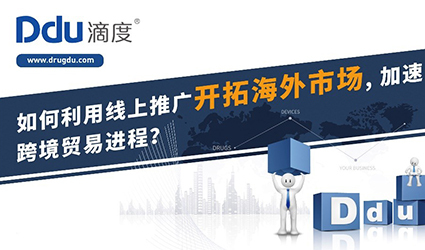 Ddu, undoubtedly, will go out of their way to boost business deals for buyers and suppliers on site through their innovative fast matching system and help users on the platform to promote their products and brands by matching souring requests and agency requirements at the exhibition. According to the management of Ddu, CPhI Shanghai is the largest global pharmaceutical exhibition and they would like to take the opportunity to help their users explore international markets of the medical trade. After a user fills in the product name and target area at the booth, the system will quickly match the appropriate suppliers based on the keyword. At the same time, Ddu staff will also give priority to recommending users on the platform according to the clients' needs at the site. A symposium for the Ddu Trade Accelerator will also be held to share insight on the company’s new methods for taking advantage of online promotions to open up international markets and accelerate cross-border trade. Following the symposium held on March 15th in Shenzhen and the one on April 13th during CMEF in Shanghai, this is the third time that Ddu will hold a symposium. The first two symposia were well received and many clients took the floor and shared their stories on their experience of the cross-board medical trade, showing confidence in Ddu. The Ddu Trade Accelerator is a one-stop online promotion service specially tailored for the cross-border medical trade. So far, it has assisted over 100 medical device companies in obtaining new orders from 36 countries and regions, attracting the attention of over 400,000 medical professionals. Ddu (www.drugdu.com) is a leading global B2B online platform focused on the cross-border trade of pharmaceuticals and medical devices. As a pioneer in the industry, Ddu is committed to accelerating the circulation of the pharmaceutical and medical device trade around the world, making it simpler and more efficient. With advanced technology and expertise in the international medical trade industry, Ddu has provided a full range of solutions for thousands of global suppliers and buyers to build and develop channels of communication and expand international business opportunities.